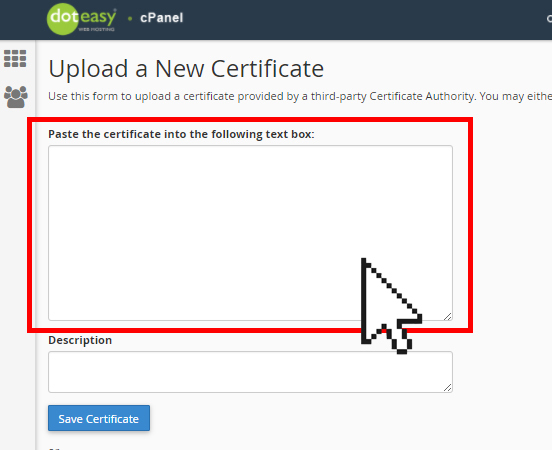 Once you have received your SSL certificate from your certificate authority (or if you already have a pre-existing SSL certificate) you will need to upload it onto your Doteasy account using the SSL/TLS Manager in cPanel. 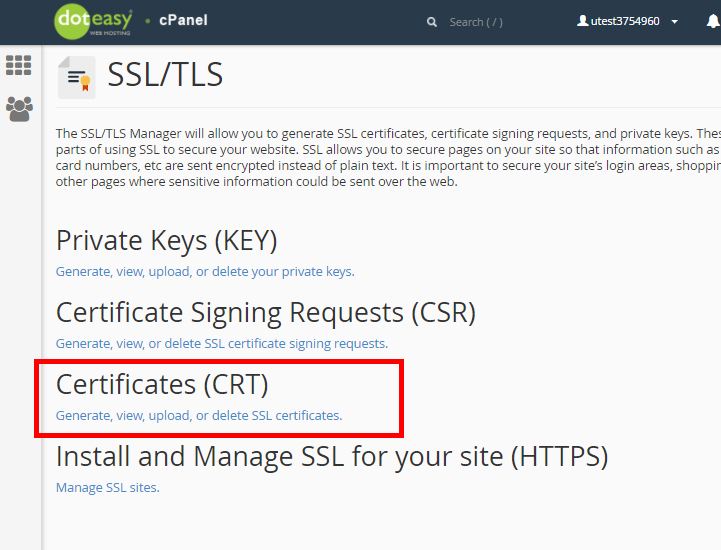 Under Certificates (CRT), click on Generate, view, upload or delete SSL certificates. Under Upload a New Certificate, paste your certificate into the Paste your certificate below text box. When ready, click Save Certificate. Or, click Choose File to browse your local computer for the certificate file and click Upload Certificate. You will see a confirmation that the SSL certificate has been uploaded successfully. 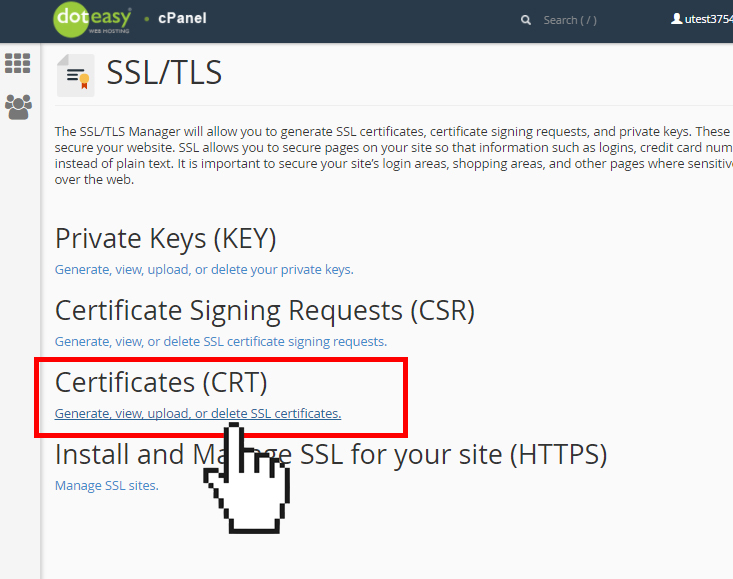 You should also see the new SSL certificate added to the Certificates on Server table.